Multihog UK has evolved – Make it Multevo! After 8 years of trading as Multihog UK Limited the UK distributor of Multihog products has now evolved to Multevo Limited as part of a rebranding initiative to continue to innovate to meet market demands. Multihog UK limited was established in 2010 with the aim of introducing the UK market place to the innovative, multi-purpose Multihog tool carrier which was an unknown entity at that time. Over 8 years later and 6 more Multihog models in the range, with an endless amount of attachments, the firm now boasts a third of all councils are customers and at least 80% of airports and major highways contractors. The Multihog is a unique range of multi-purpose articulated tractors that accept a wide array of attachments to the front and rear for all year utilisation. The idea is to maximise return on investment through improved fleet efficiency and operational productivity. The Multihog product itself was first developed in 2008 and has evolved and expanded through continuous innovation throughout this time. Heathrow and Gatwick Airports were early adopters of the machines back in 2012 for winter maintenance duties and subsequently increased orders after initial investments; whilst highways contractors such as Skanska, Amey, Kier and Ringway to name but a few utilise these units on hire or owned outright across the UK for various applications. As a result, the robust, road legal and hydrostatic four-wheel drive Multihog machine range is now the UK market leader in its class because of its enhanced manoeuvrability and unrivalled reliability in every application it undertakes. The rebranding exercise has been in the pipeline for some months as the organisation has looked to strengthen opportunities to increase the Multihog’s prominence in the market. Multevo have the world’s largest hire fleet of Multihogs anywhere in the world and are committed to removing barriers to allow for customers to benefit from these versatile vehicles. In addition to outright sales and hire of Multihog products and services, Multevo also self-deliver services such as highway maintenance utilising the machines they distribute. For those interested in checking out the transition from Multihog UK to Multevo please visit www.multevo.co.uk to see the rebrand for yourselves. This is a recent contribution to LAPV Magazine by Josh Sweeney, Strategic Marketing Manager at Multevo. The formidable ‘Beast from the East’ as well as the ‘Pest from the West’ delivered a prolonged period of winter weather the UK hadn’t experienced for some time, arguably since 2010 – ironically the same year Multihog established in the UK. The only thing that seems certain is the unpredictability of the British climate and as such local authorities are looking for cost-effective solutions that meet this growing uncertainty. Naturally, the adaptability of plant and equipment within council arsenals to tackle erratic weather will invariably be a key advantage in terms of operational response and long-term efficiency moving forward. The Multihog is a unique range of articulated multi-purpose vehicles that accept a wide array of attachments to the front and rear for all year utilisation to maximise return on investment through improved fleet efficiency and operational productivity. 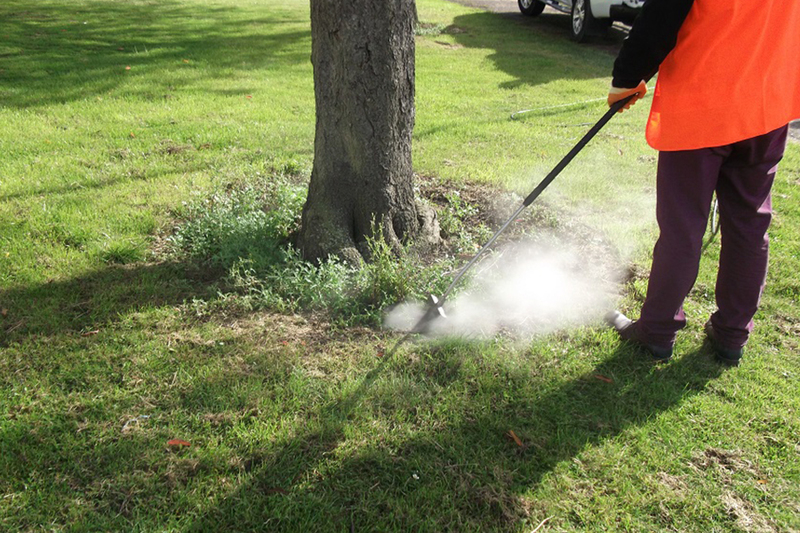 The machines have helped over a third of all UK local authorities reduce overheads, whilst maximising service delivery, by selecting one versatile machine to tackle several different highways, grounds and winter maintenance operations. The robust, road legal and hydrostatic four-wheel drive Multihog machine range is now the UK market leader in its class because of its enhanced manoeuvrability and unrivalled reliability in every application it undertakes – especially winter resilience. All Multihog users have the unique ability of instantaneous winterisation, as soon as a change in the weather, because all attachments can be easily interchanged within a matter of minutes without the need for mechanical tools or lifting equipment. Multevo Limited, the UK Multihog distributor since 2010, has the world’s largest dedicated Multihog and attachments hire fleet, which enables existing Multihog customers to hire additional winter attachments such as snow ploughs, gritters, de-icers and snow blowers to integrate with their existing machines at minimal cost. As well as hire flexibility, many Multihog owners are realising the empirical advantages of utilising multi-purpose machines to replace several traditional single-purpose plant and equipment to allow for increased utilisation and efficiency. Recently, Durham County Council took the bold move to replace two traditional snow blower machines with two Multihogs – the replacement programme alone produced a shrewd initial saving of £80,000. 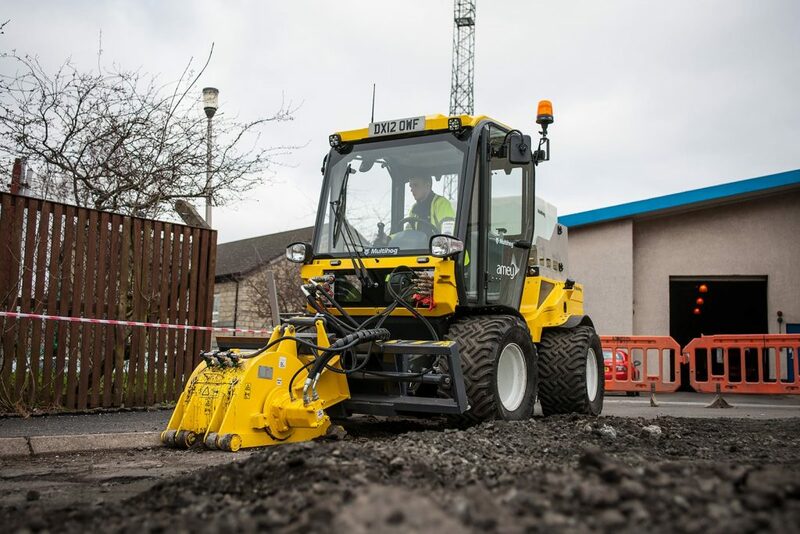 In addition to this, their adaptable Multihogs are now also assigned for other applications, such as road planing and site sweeping, saving an extra £50,000 per annum. Durham County Council are one of many local authorities managing to improve service delivery through increased utilisation of more versatile equipment through fleet replacement. Multihog’s latest more compact machine, the CL, has been designed to offer a simpler solution to assist cash strapped local authorities, already under immense pressure, utilise the basic benefits of the multi-purpose Multihog. The CL is based on the compact CX model designed for maintenance in tight urban areas, cycleways and footways but requires less of an investment than the CX itself by limiting some functions. For instance, the CL has one load-sensing hydraulic pump working up to 90 litres per minute making it ideal for attachments such as snow ploughs, sweepers and mowers. Finally, the new unit is lighter too, allowing for greater carrying capacity on the rear for salt spreading.